Owning unspoiled nature and the rustic character of a peaceful countryside, the island commune of Tam Hai will surely make every visitors coming here excited. 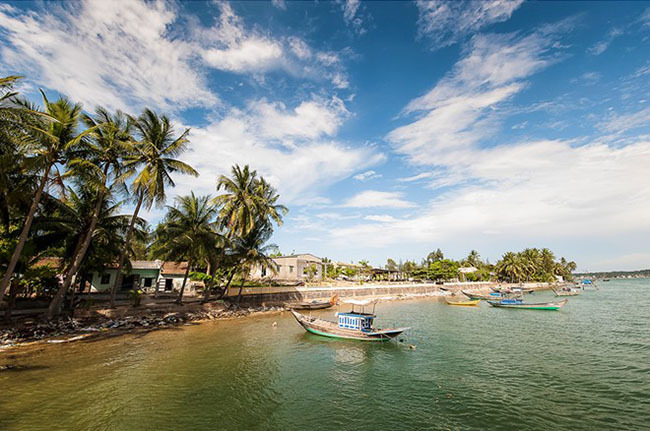 Tam Hai is an island commune in Nui Thanh district, Quang Nam province, and is surrounded by vast waves with one side bordering the sea and the other three sides bordering the river. To reach Tam Hai Island, visitors can travel along Highway 1 then turn to the sea (about 10km), cross the river by a ferry at the mouth of Ky Ha river. 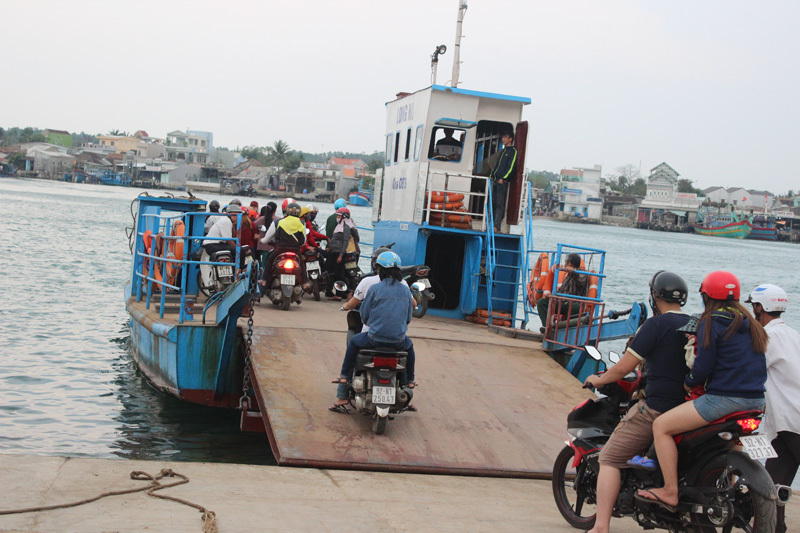 In addition, visitors can also visit the island by motorboat from Tam Tien commune. The first impression that visitors can have when arriving in Tam Hai is a scene which has both rustic character of the peaceful countryside and the charming wild character separated from the outside world . Tam Hai Island will make you enraptured with the beauty of the sloping sandy beach along the blue waters, vast and towering green palm trees. Spending some time wandering around and exploring the island, visitors will have opportunities to look at the poetic, charming space where is always mellow, gentle, and breathe an extremely fresh atmosphere. All these things will make their visitors feel that they are lost in a strange world. Many people still say that, if you do not visit Ban Than rock rapids, you will know nothing about Tam Hai Island. Indeed, Ban Than rock brings a very spectacular beauty and deserves to be regarded as a masterpiece of nature. This rock is composed of black rocks stretching for more than 1km around a small mountain. Due to the erosion of the waves and the effects of time, Ban Than cliff has formed strange caves like the multitude of sculptures located between the earth and the sky. In golden sunny days, the shining beauty of black rocks, the sparkling sea which is outstanding in the vast sky will make visitors who set foot here surprised. From the rock, you can see the small island of fancy shapes such as Da Chim islet, Dua island, Mang island ... where are ideal places for tourists to explore the colorful, shimmering reefs? Cua Lo - one of the rare relics left after the military practices of Hong Duc King will be the next destination where visitors should not ignore. From the mudflats here overlooking to the distance, visitors will feel that they are standing on the back of a large fish in the vast ocean. 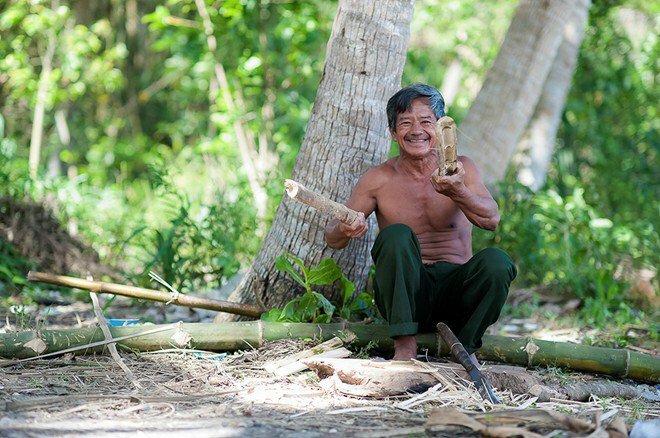 On Tam Hai island, visitors will always feel a simple gentle and slow life which is not as hustle, hurry as in big cities. Therefore, those who love rustic, quiet life are all enchanted by Tam Hai island when coming here. In the early morning, visitors can go along with the fishermen to spread the nets, catch fish and watch the beautiful sunrise scene on boats. When the evening falls, visitors can roam the smooth beach, enjoy the romantic sunsets and exciting experiences when sailing baskets. 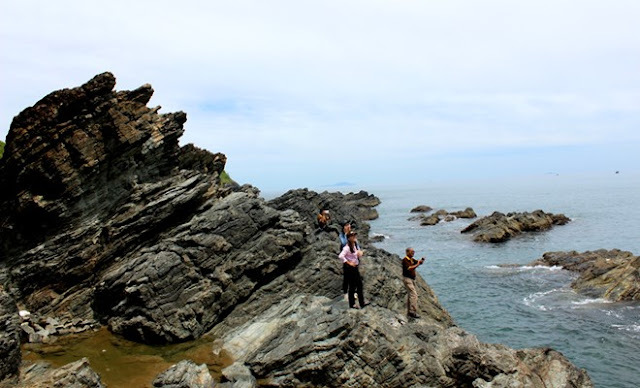 Going to Tam Hai Island, visitors can listen to the sound of the waves, feel the cool breezes bringing the salt of the sea infiltrating each fiber. Things which seem to be simple give visitors the surprising interesting things and radiant joy. Those who have come to Tam Hai Island are all love the warm, rustic and friendly people here. So, once arriving in Tam Hai, visitors also should not hesitate to chat, listen to the sentiments and their daily stories to feel the warmth, friendship from strangers here.